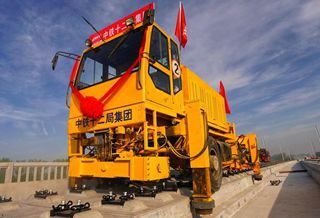 China's economy is set to continue its steady run in the rest of the year, despite headwinds, Ning Jizhe, deputy head of the National Development and Reform Commission, said. Ning, who's also head of the National Bureau of Statistic, said the prevalence of protectionism and unilateralism, as well as fluctuations in global financial and commodity markets, will inevitably affect China, as the country is already highly integrated with the world economy since it promoted reform and opening-up policy 40 years ago. The economy, however, is on track to reach its annual growth target, which can be reflected in four major indicators – economic growth rate, employment, price and balance of payments, Ning said in a recent interview. He said China has the conditions, capability and confidence to meet the target of around 6.5 percent economic growth. At the end of August, the country was 90 percent on its way to its goal of creating 11 million new jobs in urban areas this year. Ning made the comments as some indicators show signs of slower growth amid mounting China-US trade tensions. Noting fluctuations of the data were within a normal range, Ning said the economy will be resilient and sustainable in the third and fourth quarters, underpinned by the generally stable situation and the country's firm pace of reform and opening-up. On September 24, new US additional levies on $200 billion worth of Chinese goods came into force, followed by Beijing's tariffs on about $60 billion worth of US imports. Prior to that, they have each raised tariffs on $50 billion worth of each other's goods. The US tariff moves, Ning said, have certain influence on China's economy, but "the overall impact are under control." China has taken a series of measures to resolve the impact of the Sino-US trade friction on the nation's economy. "China will continue to maintain steady momentum, advance structural reform, promote high-quality economic development, and seek progress while maintaining a stable performance in terms of employment, finance, foreign trade, investment, investment and expectation." Ning added. Specifically, China endeavors to elevate the comfort level for companies, streamline administration and cut taxes and fees, expand employment and re-employment, expand domestic demand, promote a coordinated development of regional economy, deepen reforms and expand opening-up, expand trade with more foreign countries as well as facilitate foreign companies' entry to China and Chinese companies' expansion abroad. Ning said that China has been attaching great importance to risk prevention and steady growth. "China's overall leverage level is not very high, but at a moderate level globally." He added debt level of large industrial companies has steadily dropped in recent years. In late August, their average debt to asset ratio was at 56.6 percent, dropping 0.5 percentage point over the previous year, according to Ning. Experts believe the government's recent adjusting toward a pro-growth stance can further add fuel to stable economic expansion. Wang Tao, an economist with banking group UBS, expects more policy easing to be on the way, but the magnitude of easing is designed mainly to offset any upcoming negative external shocks. Wang Yiming, vice-president of the State Council's Development Research Center, said to boost high-quality development, the country should ramp up efforts to protect intellectual property, improve the mechanism for risk management and promote opening-up.